Every summer thousands of PCs, laptops, smartphones and tablets break because their owners allow them to overheat. Gadgets often get hot when they are turned on for long period, however, when this heat is combined either with a hot summer or a particularly humid holiday destination, the consequences can be severe: when gadgets overheat they often break and, repairs can be costly. 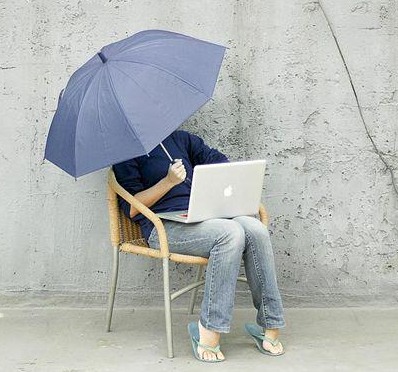 Below, you’ll find a list of tips that will help you to protect your gadget from overheating. Firstly, be aware of the damage overheating can cause, taking time to look for signs that your devices are struggling. For example, test the case of your gadget for heat and consider installing heat-monitoring software on all of your devices. Note: a device affected by overheating often shuts down, (or freezes,) for no apparent reason. Never leave your phone, laptop or PC in direct sunlight. If the sun streams into your office in the afternoons, consider closing the blinds to keep your laptop or PC out of the sun. You should also leave your devices on a cool, flat surface when you are not using them. Close any apps or programmes that you are no longer using. This will slow down your device’s processor and reduce its overall temperature. Consider turning your device off when you are not using it. This will a.) Preserve power and, b.) Keep your device cool.